Why Does My Air Conditioner Smell Musky? If your Air Conditioner has started producing some unpleasant odors, it is usually a sign of mold, mildew, bacteria, or a pest problem. Depending on the issue, the smell alone is likely enough to trigger a call to your local HVAC technician. Believe it or not, you can begin diagnosing the reason behind your Air Conditioner’s foul odor by simply smelling out the problem. 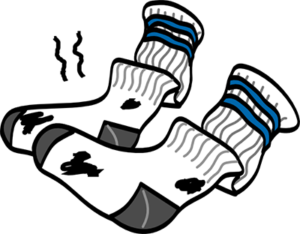 If the air smells like musky, dirty socks, then the odor is likely caused by mold, mildew, and/or bacteria buildup. Likewise, a rotten egg smell is more indicative of a pest problem or dead rodent inside your unit. What if my Air Conditioner smells like dirty socks? If you experience any of the above issues, it is important that you do not try to fix the issue yourself. Because some disassembly may be required, it is best that your unit be assessed and treated by a licensed professional, such as General Air. What if my Air Conditioner smells like rotten eggs? If your Air Conditioner smells like a rotten egg then it is probably due to a dead animal in your ducts. Other signs include sounds of “scurrying” pests prior to the smell and visible pet droppings inside the ducts. If you have reason to believe that you have a pest problem, contact your local pest control to locate and remove the problem animals. previous post: How Is My Air Conditioner Affecting My Health? next post: Why Is It Important to Clean My Air Ducts?